When you're in the market for a truck, you're looking to fill a whole menu of qualifications that don't come with other automobiles. 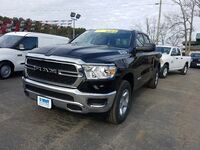 You want your new truck to be able to tow what you need, be able to fit and carry everything you need in the bed and cab, and it doesn't hurt if it looks good and offers the latest features. 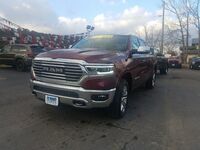 The 2019 Ram 1500 in Clinton AR is now at Cowboy CDJR, and we're excited to tell you all about it. When a truck is built with work and safety in mind, it's a real home run. 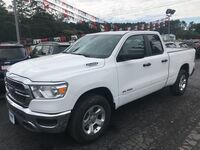 The 2019 Ram 1500 features some of the latest smart safety features available on American roads and it still makes easy work of moving its 2,300-pound payload or up to 12,730-pounds of towing capacity. 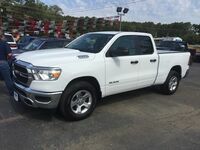 Smart safety features that are available in this year's Ram 1500 lineup include Forward Collision Warning, ParkSense parking guide, and Adaptive Cruise Control. They're calling this the most capable Ram yet. 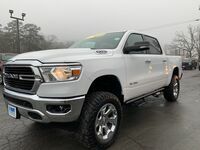 Read more below about the power behind the 2019 ram 1500 lineup. The 2019 model year of the Ram 1500 lineup has undergone a major rework. This includes three new engine options, allowing you to take on more work more efficiently. Check out the engine options below. 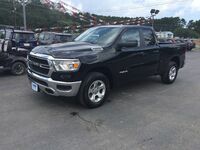 The 2019 Ram 1500's smallest engine manages to offer drivers substantial power, and is suited for light-duty payloads and towing.The 3.6L Pentastar® V6 engine with eTorque uses advanced technology such as wide-range variable valve timing and two-step variable valve lift to optimize power efficiency. Power output for this engine is at 305 horsepower (best-in-class standard V6 horsepower) and 269 lb-ft of torque. Max towing capacity for this model is at 7,730 pounds. This engine option carries over from previous model years. That's because Ram knows if it ain't broke, you don't fix it. 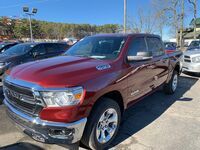 When you equip the 2019 Ram 1500 with this 5.7-Liter HEMI® V8 engine, you get a whopping 395 horsepower and 410 lb-ft of torque for engine output. This translates directly into a maximum towing capacity of 11,610 pounds. That's over five tons of Ram power to make any job at least a little bit easier! 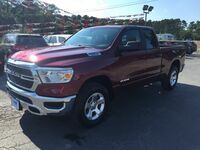 The 2019 Ram 1500 is available with a 5.7-Liter HEMI® V8 engine with eTorque. If you were to outfit your 2019 Ram with this, it would get the same 395 horsepower and 410 lb-ft of torque. However, with this engine's advanced eTorque technology, your towing capacity is upped to a cool 12,750 pounds. That's best-in-class towing capacity, we should add!